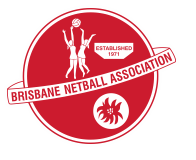 If you are interested in commencing your career in netball umpiring, Brisbane Netball Association is offering a beginners umpiring course over the next six weeks. Nominations forms must be completed on Wednesday, 30 January, 2013, and can be obtained from the clubhouse. Cost: $50.00 (full course and includes an AANA Official Rule Book and Whistle). Remember KL Netball pays umpires. Nominees must attend all sessions of the course to be eligible to receive a Certificate. More information can be obtained from our umpiring page.